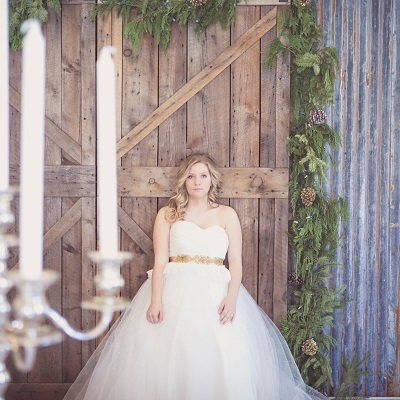 The beautiful backdrop of the Big Horn Mountains and the charming downtown sets the scene for your very special day and our on-site wedding and event staff will help you to design the perfect wedding or event. Celebrate your party at the Barn in Big Horn! 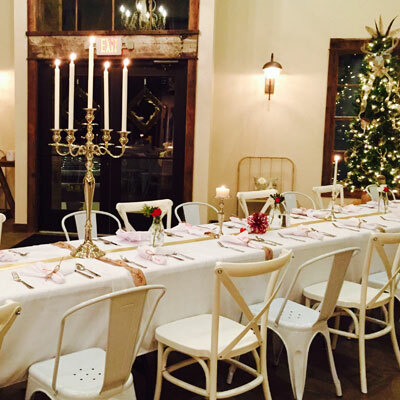 The barn is available for a large group or intimate gatherings. 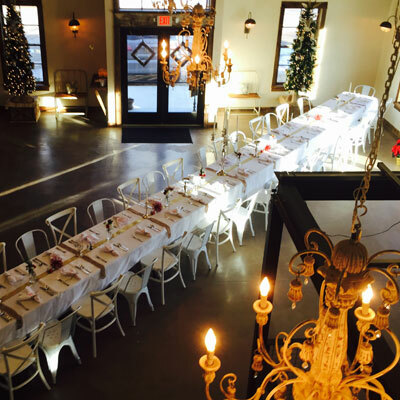 Holiday and office parties, birthday parties, showers, reunions, anniversaries and more! Need an exceptional venue for a meeting, business retreat or fundraiser? Our distinct reception hall is the perfect place to make a lasting impression. Need to host a fundraiser with a unique venue? Our memorable and classy reception hall is the perfect place to encourage a great turnout for your event. 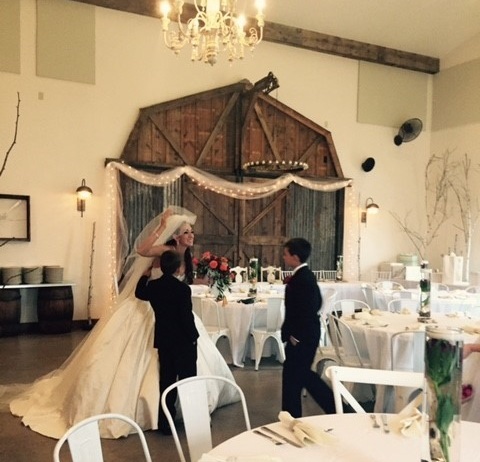 The Barn in Big Horn offers a multitude of items to make your Wedding, Meeting or Party special. These items are included in our Epic Wedding Package. Ask us for more details. The backdrop of the Big Horn Mountains along with the amenities of the Post Office, Big Horn Mercantile and the Big Horn Smokehouse, the Barn in Big Horn offers our renters a distinct setting for their business. Wyoming’s premier event venue welcomes you! The beautiful backdrop of the Big Horn Mountains nestled in the charming town of Big Horn, located minutes from Sheridan, Wyoming, sets the scene for our exciting venue called the Barn in Big Horn. Our indoor and outdoor facility offers a multitude of settings, from one-of-a kind weddings and receptions to holiday parties, corporate retreats, birthdays, reunions, anniversaries, or any other occasion that requires a special place. The Barn is a 19th century historic building restored with all the modern conveniences such as a 1400 square foot rustic reception hall with 3 chandeliers, a large urban bar, a fully equipped commercial kitchen, a dressing room with stairs leading down to the reception hall, and a 75″ flat screen TV with the latest technology for presentations. The Barn in Big Horn also has large barn doors opening up to 15,000 square feet of luxurious lawn surrounded by distinctive lilac bushes and large cottonwood trees, as well as a beautiful outside patio with a large fire pit and hanging lights throughout the landscape. We have office spaces available for rent, located on the first and second floors of the building, each equipped with high-speed Wireless Internet Service and access to small and large conference areas. In addition, there is a common area for water, coffee, microwave and refrigerator. We recently held my daughters baby shower here and it was perfect! Rustic elegance and wonderful service. All who attended complimented the venue and had a wonderful time. I highly recommend having any type of party or celebration here- I will definitely be utilizing this wonderful addition to our community in the future! What a great place to have an event. My retirement party was here – every detail was taken care of! I would highly recommend it! This place is amazing!! Beautiful and classy!! I think that it’s a great addition to Big Horn! Thank you again for everything. The party was amazing. People raved about how everything was perfect. You and your staff did a great job. Would you please put us on your calendar for our Christmas party next year? Again, thank you.